Product prices and availability are accurate as of 2019-04-12 14:58:11 EDT and are subject to change. Any price and availability information displayed on http://www.amazon.com/ at the time of purchase will apply to the purchase of this product. Tips: If bulb damaged or burned out, please feel free to tell us and we will refund you or ship the replacement bulbs to you. Retro Style: Set of 4 vintage filament bulbs Spiral Globe Style, nostalgic reproduction. Which is made of high quality amber clear glass and brass base. Globe cage filament design makes it look lovely and unique. 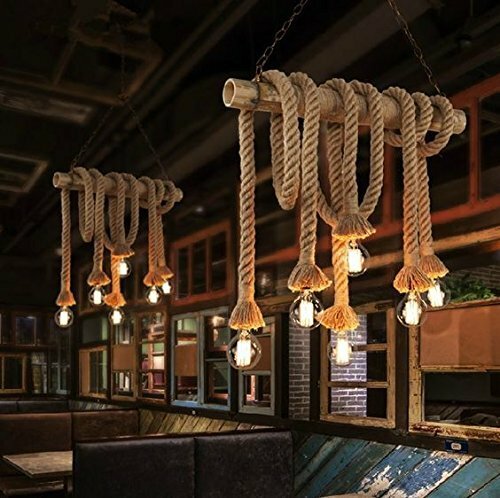 Dimmable: E26/E27 medium base 60W 110v 2200K 64 anchors Dimmable glass. 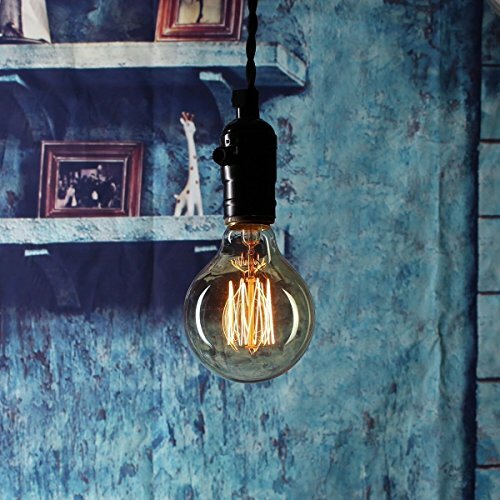 These dimmable CLEAR AMBER GLASS vintage Edison bulbs provided a much warm brighter and more useful light (also can be dimmed by the dimmer switch, but the dimmer switch are not included). 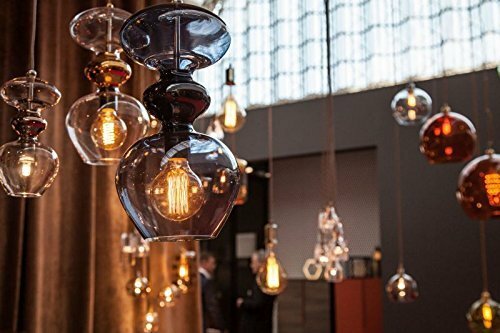 Wide Use: Fits any standard home lighting E26/E27 screw base sockets lamps, pendant light fixtures, wall sconces, commercial string lights, ceiling fan lamps, chandeliers, indoor or outdoor. 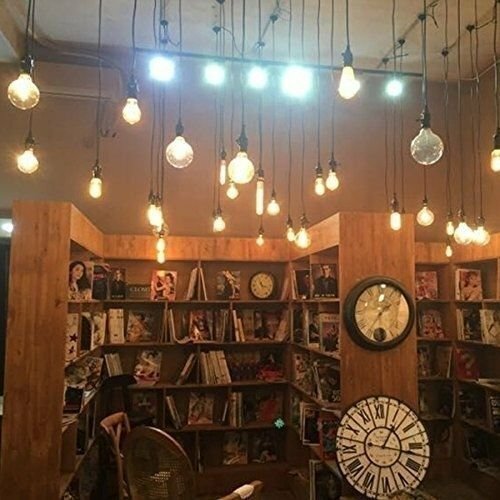 Typically lightbulbs used for home or commercial decoration, kitchen, living room, bedroom, bar, showroom, hotel, coffee shop, restaurant, etc. 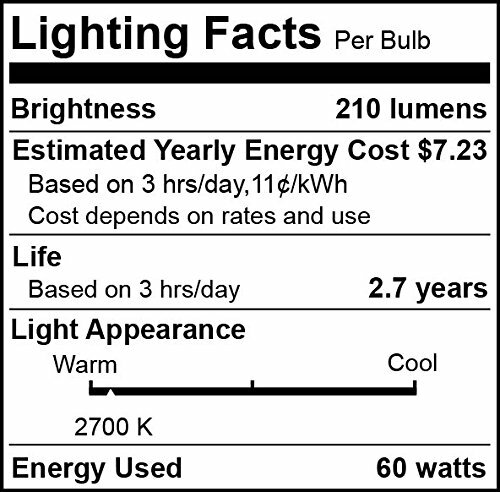 High Quality: Made from high quality materials and built to last for up to 3000 hours, and Unique packaging design,with shatterproof function make it more durable that other bulbs. 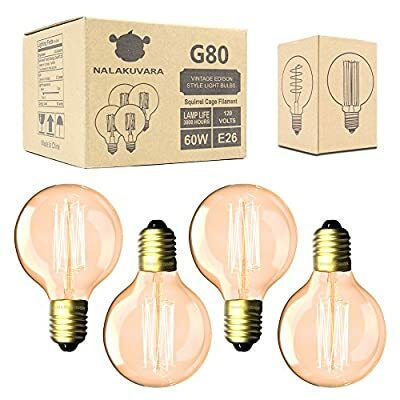 What you Get: 4-Pack 60 Watt Globe G80 Vintage Edison Light Bulbs by NALAKUVARA, 18-month warranty & Our friendly customer service.